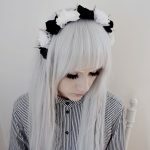 As we all know, the looks and hairstyles that celebrities choose soon catch on as trends that we all want to emulate. It seems like the styles that celebrities choose will certainly be the most requested styles in almost every salon across the country. If you are looking for a new style, then you may want to take your cue from the celebrities. Consider celebrity hairstyles of 2013. You may find a look that you love. When you want to recreate a celebrity hairstyle for your own look, consider taking pictures of that celebrity with you to the salon. This way, your hairstylist will know just what it is you are looking for. Many celebrities have moved toward the trend of the extreme pixie, which includes very close-cropped hair with a great amount of sculpting. Just take a look at such celebrities as Keira Knightly, Halle Berry, and Emma Watson. These celebrities are all part of the reason why so many people are choosing the extremely short style. This bold look is definitely one of the most popular celebrity hairstyles of 2013. If you are feeling bold, then you should consider this extreme pixie style. In order to get the look that you want, be sure to print out a picture of the celebrity look and then take it to your stylist. 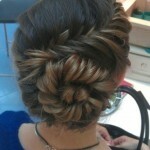 Keep in mind that the sculpting needed for this style can take some time, so be prepared to allow your stylist to work. Many celebrities, who are not bold enough to choose an extreme pixie will choose a signature short do. One of the best examples of this would be Victoria Beckham. A trendsetter for many years, Victoria is sporting a new short to medium look that includes a sharp, razored cut with clean angles and smooth lines. Other signature short dos hat can be seen in celebrity hairstyles of 2012 would include the look that you will see on Keri Hilson. Her caramel locks are cut with very subtle layers just brushing the collar of her shirt. Heavy, yet choppy bangs complete this signature style. Perhaps one of the most interesting celebrity hairstyles of 2013 would be the classic bob with a twist. That twist would be choosing a wild or unique color for the hair. Wondering just what this looks like? Just take a look at Katy Perry or Nicki Minaj. Both of these celebrities are setting trends with the wild color bob. This look is quite bold, so you may want to consider semi permanent color before you do anything drastic. Some colors that you may want to consider would be bold blue, bright red, or pink. If you are not brave enough to do all over wild color, consider just adding highlights of that color to get a unique look. Celebrity hairstyles of 2013 will certainly be setting new trends. Whether you want to go bold with the extreme pixie or you want something more classic like the signature short style, you can copy the celebrities for a trendy new look this year.